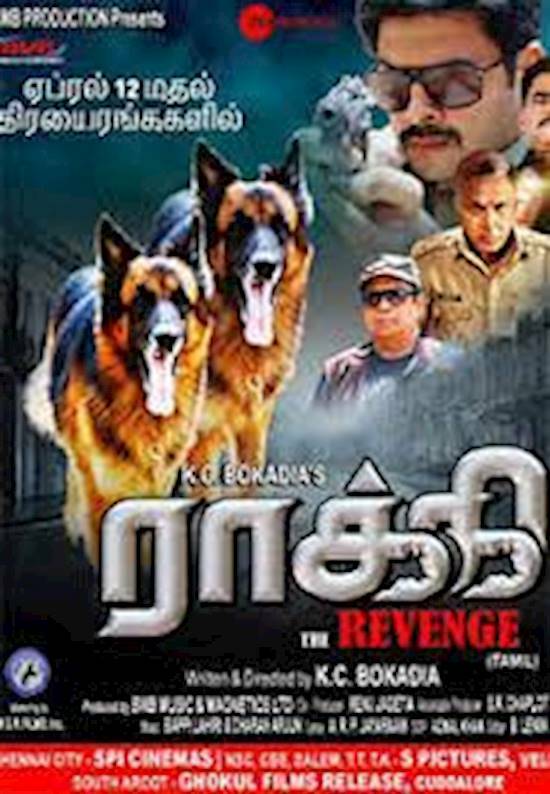 There was a time when animal-based revenge movies appealed to the audience in Kollywood. But have people’s taste changed with time? KC Bokadia takes a gamble to find out with Rocky. One of the initial sequences shows two animal smugglers stealing two German shepherds from a house. Thanks to a bump on the road, the door of their vehicle opens and one of the pups falls down. ACP Santhosh (Srikanth) rescues the pup, tends to him and gets him trained (with Tollywood actor Brahmanandam) so that he – Rocky – could join the police force. Things go fine for the duo until Santhosh crosses swords with local MLA Thenappan (Sayaji Shinde) and his man Friday, Pandi (OAK Sundar). With Santhosh getting murdered, how does Rocky avenge his master’s death? What role does Rocky’s twin have to play in this? This is Bollywood filmmaker Bokadia first venture in Tamil. In a career spanning over four decades, he’s done four films with animals, all of which have worked at the Bollywood BO. He’s tested the same formula in Kollywood, hoping he’d succeed here as well. And he might have, had the story been coherent and the screenplay tighter. We are unable to sympathise either with Srikanth when he dies or his wife (Eshanya Maheshwari) when she is grief-stricken. Nasser as the commissioner also doesn’t have much to do, though he does stun us with some action moves in the climax. The two German shepherds steal the show -– we kinda feel bad when Rocky gets hurt and goes into a shell when he remembers his dead master – and they even have their own flashback and intro song (music by Bappi Lahiri and Charan Arjun)! The story is what 80s staple revenge dramas are made of and could have worked in today’s time had a little more attention been paid to the narration.